You are working in a press office or an agency and you are looking for additional training in science communication? You want to better understand journalists’ needs and the constraints of their jobs? Together with renowned colleagues from print, radio and TV journalism I will show you the heart of editorial offices. You will learn what science journalists hope for and you will receive many practical hints. You will visit editorial offices to see how journalism works. Communicating science is quite different from being an excellent scientist. 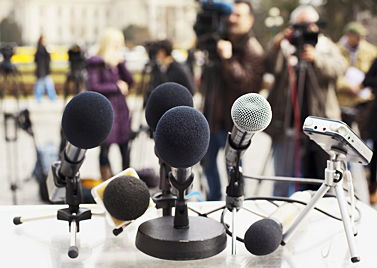 Talking to journalists and the media is quite different from talking to fellow scientists. I will love to inform you about the unwritten rules, demands and needs of the media, to train you in dealing with difficult questions, and to show you ways to communicate your work and your field in print, radio and TV. To do so, I collaborate with a large network of science journalists and media people all over Germany. You are directing a scientific institution or department and you want to communicate with the general public – willingly or sometimes out of necessity. You may want to start and implement a new editorial or science PR office. You may want to communicate a new topic or you have to respond to difficult questions in public. I will love to explain to you how the media work, how you can adapt to their rules, and how you may gain access. My counseling is individually tailored, complete, flexible and in strict confidence.